How to make your own vertical planter | DIY projects for everyone! 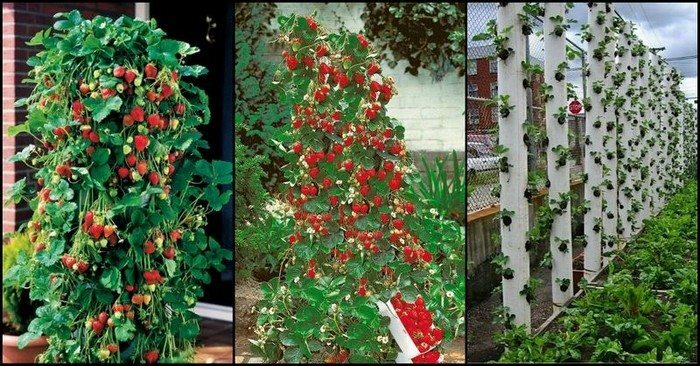 Here’s a step by step guide on how to make your own vertical planter. A minimum of 25% of your above ground height needs to be below ground, to ensure stability. e.g. if you want your planter to be a metre high then the overall length of your pipe must be 125cm (or more). If you are using an off cut or leftover material from a previous job, then the size and height of your project have already been determined for you. If you are buying the materials you need to decide on the height and width of the pipe. For a 100mm pipe it is recommended to have only one hole in a horizontal row so the plants have enough room for their roots to grow. For 150mm pipes you can have up to 3 holes in each horizontal row depending on which plants you choose (three holes for flowers only, the rest either one hole or two). Using a marker pen, mark out the holes you want to cut for your plants using the guidelines above. The size of the hole directly depends on the plants type and size. Using the markings, cut the planting holes using either a hand drill with circular drill bit or a jigsaw. Set up the pipe in a large pot or directly into the soil. Set up the pipe in a large pot or directly into the soil, using the pebbles for additional stability. Finally, put the compost and soil into your pipe and start planting. Keep the water up to your plants and sit back and reap the rewards. * Because the planters hold only a limited amount of soil, it is essential you keep the water up to your plants. If you are relying in watering only at the top of the pipe, you’ll find that the plants at the top will get plenty of water but those at the bottom will get a lot less dry. That’s fine if you plant accordingly, but the best solution is to insert a weeper hose into the main pipe. This can be purchased or simply made by using 1″ conduit drilled with weep holes down it’s length. Wrap this inner conduit in geo-fabric or weed-cloth to prevent it getting blocked over time. I like strawberries but not that much to grow so many, I only eat a few here and there! I do that with cucumbers lol!